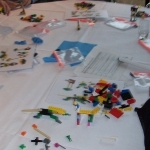 Abstract: Reading Time: 3 minutes Faciliating a LEGO Serious Play Workshop "IT Goverance & PMI certification" — Create commitment of 70 project managers to adopt the new organsiational PMI certification program; define next steps to support the implementational program rollout. Description: The department "IT Governance" of a large international airline had ran an internal PMI certification program for all IT project managers (PM). The project management office (PMO) developed new processes and tools accordingly. 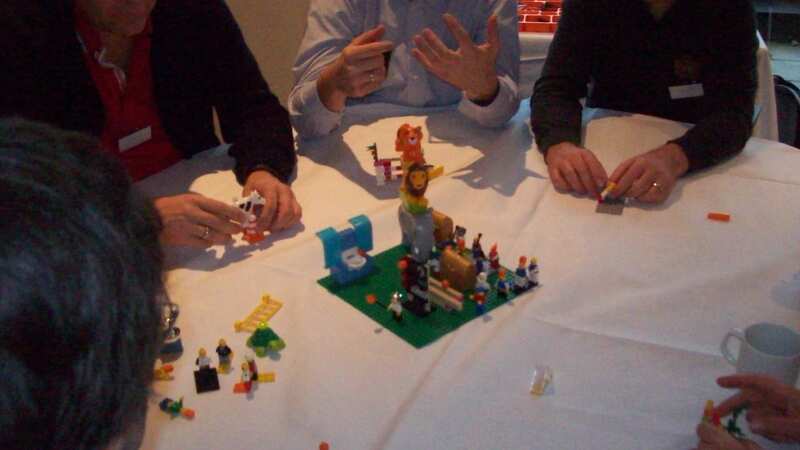 The new objective from upper management for all PMs was to get acceptance, promote, support, and foster these new program and artifacts in all their IT-projects. To launch the new initiative the upper management run a 1-day event for discussions and to share feedback. 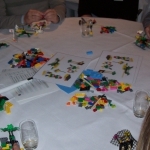 To create a safe space for open and free discussions Julian Kean and I facilitated a LEGO Serious Play workshop in behave of an external agency. The overall motto was „How can I personally support the PMO to rollout the PMO-framework the next days?“70 project managers attended the workshop. 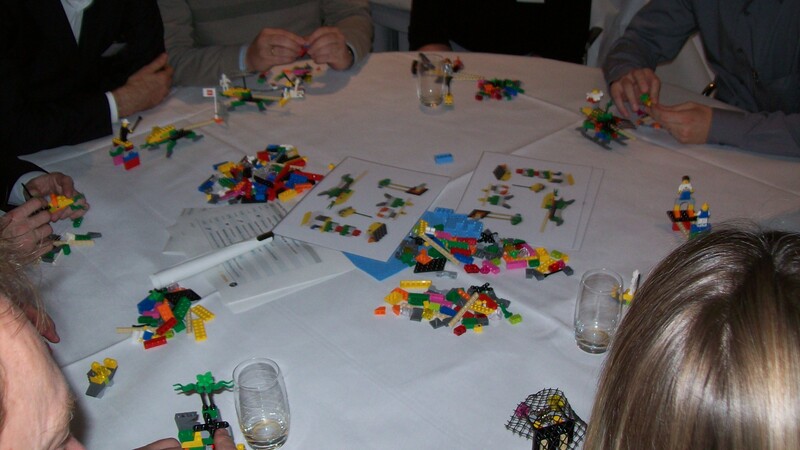 We facilitated the workshop with 10 PMs each at 7 tables. 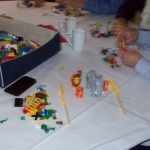 After a warm-up round playing with the LEGO bricks the participants were asked to think of their toughest past project and to build a personal model of this greatest challenge in either their private or business life. 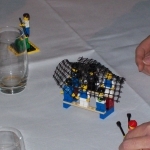 At each table all participants shared their stories by explaining their models built. 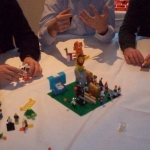 After sharing the individual challenges the participants were asked to build personal models of what helped them so solve the issues or to stand the personal breakdown. 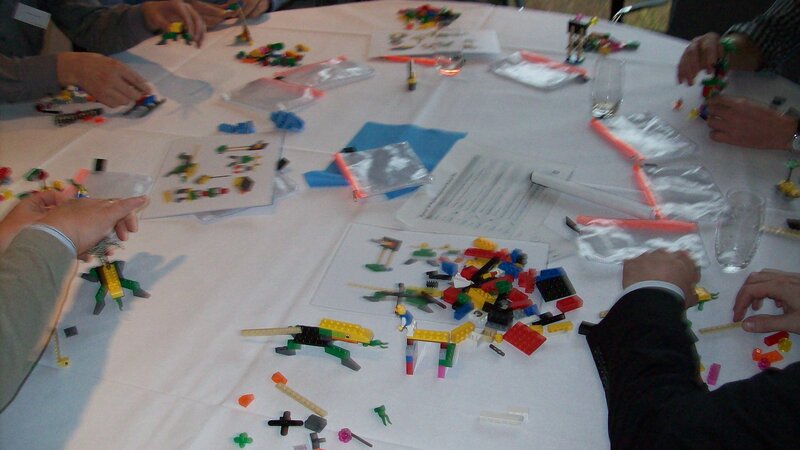 At each table all participants shared their stories by explaining their models built. 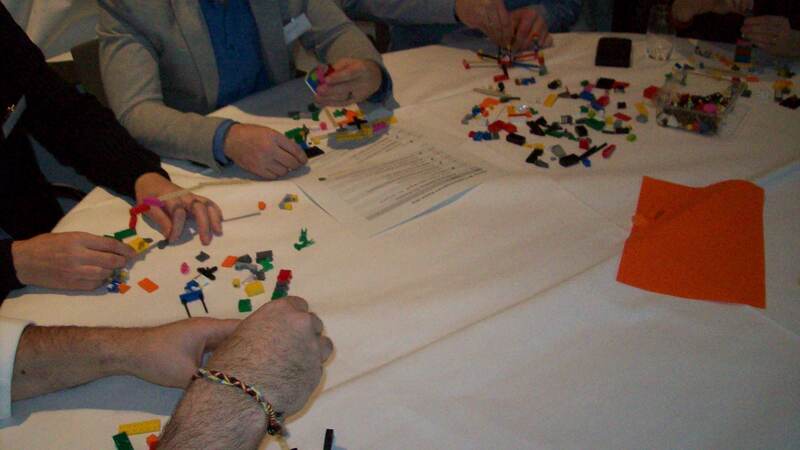 Each participant built a personal model of what he missed or what was lacking in solving the issue. 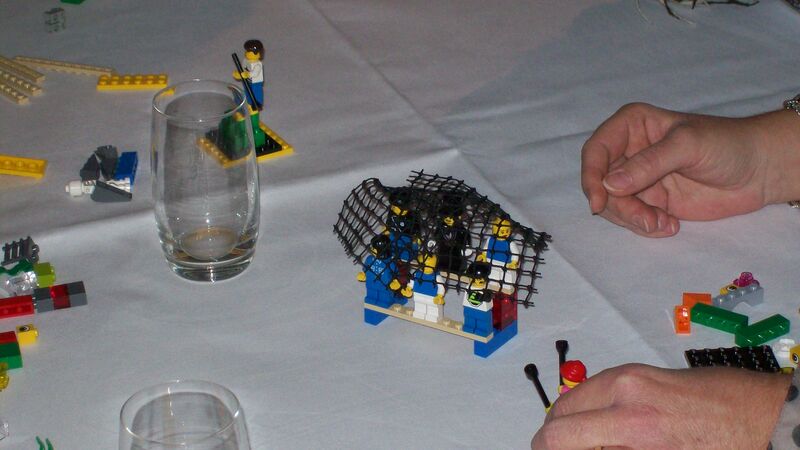 At each table all participants shared their stories by explaining their models built. 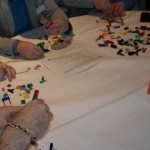 At each table the group identified the core meaning of each model and marked it with an orange LEGO brick (“Orange Brick Exercise”). 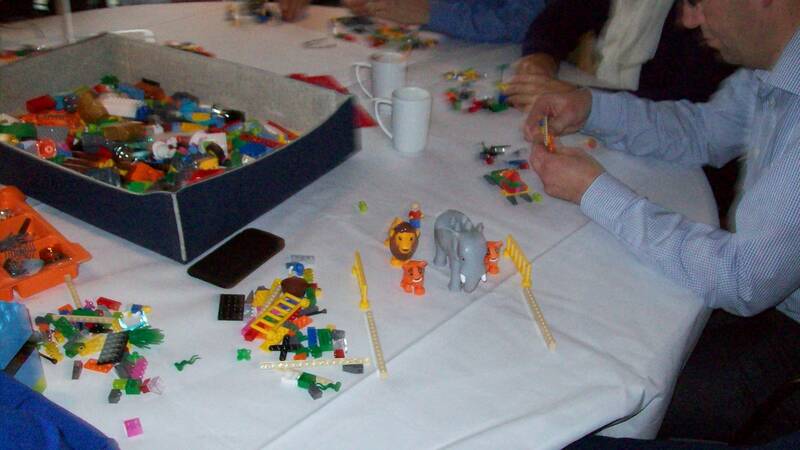 After this, each group/table built one common model out of all identified individual core components on the table. 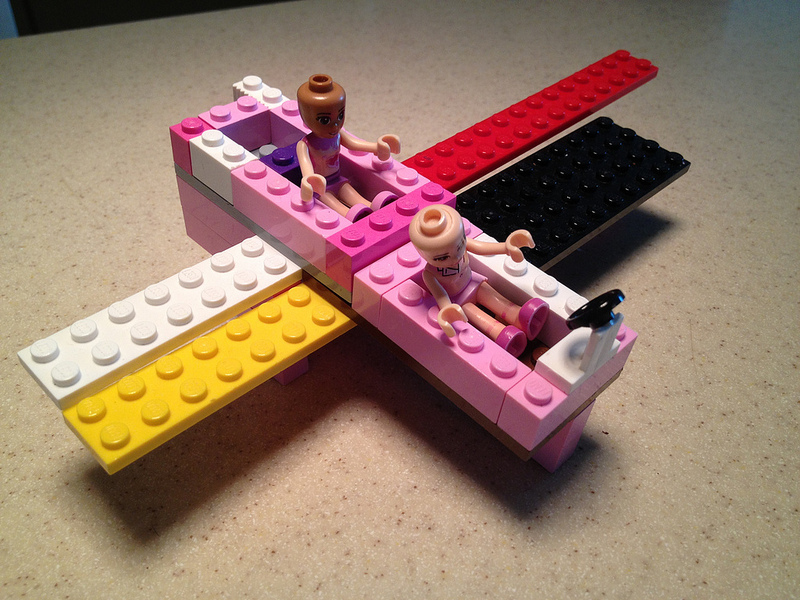 For the common model built the group created one shared meaning. 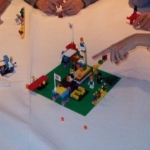 For each table the group selected one participant to stay at the tabel and to be explainer for the shared model. All other participants walked to all other tables to became acquainted with the other models, to inspect them, and to ask questions. 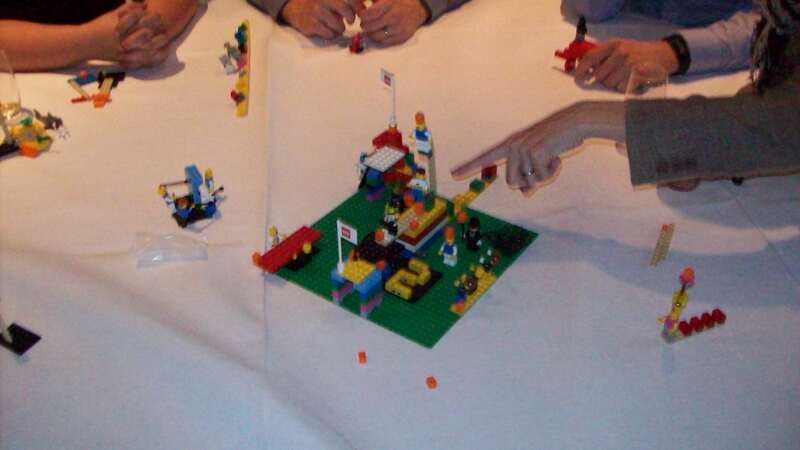 Each participants built a model what she individually would contribute in the next 6 month to support a successful PMO-rollout after discussing with other participants and becoming acquainted with the other models. : Ha Jeong Jeong via Flickr.com • Plays -In-Business.com, .